A collection of eight antique samplers, all embroidered by the same young girl — Elizabeth E. Jacobs, depicts the purpose of antique samplers. Young Elizabeth created the smaller embroideries in this collection as experimental pieces in learning the many embroidered stitches, motifs and designs in the art of needlework. 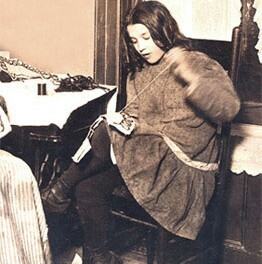 Her samplers were embroidered between 1879 to 1882, at the ages of 10 to 13. All were most likely done while Elizabeth attended the Church of England School. The large sampler, with the decorative objects, would have been the final piece of the series as a testament to the maker’s skills. See all of Elizabeths Victorian samplers. Edwardian and Vintage motor cars, historic commercial vehicles, and automobilia.